This very large faux leather clutch has an envelope styling. The angled front flap has snakeskin strips in brown, black, white, reds, pink, grays, cantaloupe, and teal. 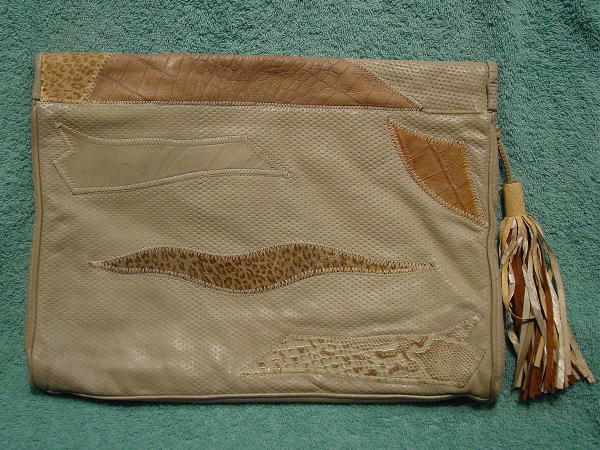 The rest of the purse is in a sandy-beige with accents in browns. There are also faux reptile and animal print patches. 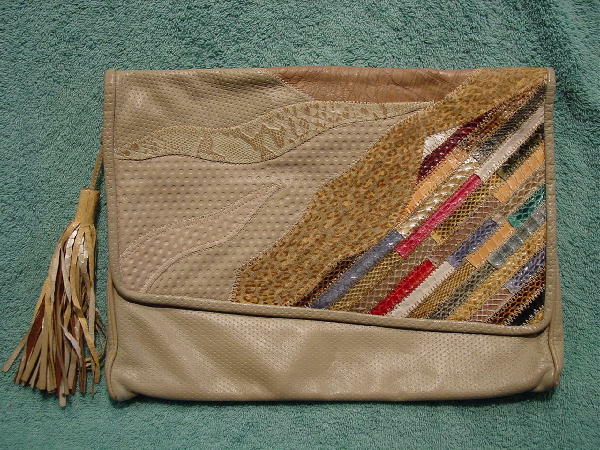 It has a top side to side zippered opening with a large multi-colored leather strips tassel. There is a light cocoa brushed cotton lining with an interior zippered pocket. There is a red dot on the interior flap whose color transferred to the front (hidden) part of the purse.